Keeping your family and home protected is a top priority for millions of Americans throughout the country each day. With peace of mind, enjoy what life has to offer without constantly feeling anxious or worried about your safety and protection. When you want to ensure the best protection and comfort possible, choosing the right home security is a must. Homes that do not have a security system in place are 300% more likely to become targets of vandals and burglars, which is why it is essential to go with a company you can truly trust and rely on. Vivitar Smart Home Security provides individual security cameras for in-home placement that are monitored using an application downloaded to your Android smartphone. When you choose to purchase a standalone camera, it is important to keep in mind that you are not utilizing a monitored system with backup alerts in place. 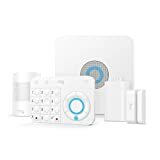 Before investing in a standalone security camera it is important to learn about all of the options you have available regarding home security systems and packages that are right for you. Vivitar currently offers multiple standalone cameras to choose from when designing a home security system that is right for you and your loved ones. While you are required to monitor any activity on your own with Vivitar’s equipment, you have complete freedom and flexibility in regards to placement and the type of alerts you wish to receive using your smartphone. Unless you are constantly using your phone at all hours of the day and night, it is nearly impossible to see any and all alerts of potential burglars and vandals near your home. Knowing the pros and cons of Vivitar Home Security is essential before choosing the right home security system and setup that is right for you. Vivitar itself does not offer 24/7 monitoring service, leaving you responsible for all monitoring and alerting of firemen, police officers, and other local emergency responders in the case of a break-in. You may receive alerts in a delayed fashion, which is problematic when time is of the essence during a robbery or burglary. Limited options when selecting cameras and customizing the type of home security system that is right for you. Why Choose a Monitored Service? If you are adamant about protecting your family and personal belongings 24/7, a monitored home security system is often the best choice possible. With Protect America, avoid feeling responsible for monitoring and tracking your system at all times and instead, allow the system and the company to get the job done. Protect America is one of the largest home security companies available in the US today and was established originally in 1992. Protect America stands against competition by providing locked in monthly rates with the ability to completely customize a solution that works best for you and your family. Are you ready to move forward with a home security system that has you covered 24/7? Do you want to guarantee the safety and protection of your family with a monitored service? Contact Protect America today for your free quote and to learn more about our systems to find a solution that is just right for you.